Perhaps I am unduly pessimistic in regarding Bible Society’s acquisition of CBC, the Christian Booksellers Convention, as an effective obituary notice for CBC. Perhaps merging CBC with CRE, the Christian Resources Exhibition, is not so much the end of an era as the beginning of a new one. Perhaps combining a supposedly trade focused event for retailers with a consumer driven event organised by publishers and suppliers does not sound the death knell for the trade event, but those publishers and suppliers will have their work cut out to convince me that they’re not going to simply use this as an opportunity for direct selling that will effectively sideline retailers’ interests. It is anticipated that publishers intending to exhibit at the 2009 event will transfer their bookings to the Esher event. The opportunity presented to publishers means that within the ‘trade section’ of the combined event, there will be exposure to the 12,000 expected visitors to CRE in May 2009. The implications of this are straightforward: the so-called ‘trade section’ will not be a separate trade section at all — it will be wide open to all comers. Indeed, it is difficult to imagine those publishers attending wanting to deal with the extra work that would be involved in running two separate stands, one for the general public, another for their trade customers. It is equally difficult to imagine how space at Sandown Park could be allocated for a trade show and a public exhibition to be run simultaneously: anyone who has attended CRE will know full well how crowded the exhibition already tends to become. This, quite simply, makes it a non-starter for a retailer focused trade event. We are already faced with online competition from our suppliers: are we also expected to smile sweetly and welcome direct, face-to-face competition as those same suppliers offer our customers deals to walk away with that we will never be able to match because those suppliers will not offer us terms that will make such deals possible? “Due diligence has taken place throughout the process,” he says. Really? Extensive consultation with retailers? That, surely, must be an essential part of due diligence in relation to the future of a Christian retail trade event; and that, as far as I can see from my viewpoint as a retailer and as a member of the Booksellers Association’s Christian Booksellers Group (BA CBG), seems conspicuously absent. In particular, careful consideration of the impact on Christian booksellers in the North of moving their 2009 trade show to the South East? In depth discussions with the organisers of LBF, the London Book Fair, the UK’s leading book trade event, and the Christian publishers who exhibit at LBF year in, year out? As always, all opinions expressed in this post are my own and, in particular, should not be taken as representing the views of the BA CBG. Please see the disclaimer in the sidebar for further clarification. Writing as a small book publisher, my expectation is that CRE will be remain a consumer-facing event and that LIBF will be our trade-facing event. Perhaps a group of smaller UK Christian publishers should get together for a combined stand at LIBF, imitating the Independent Publishers’ Guild, and organise a talk/seminar at the same date to attract Christian booksellers to London at that date. I would imagine that the non-book Christian suppliers will feel a little more left out, especially as their product is more exhibition-friendly than books. Also different categories will no doubt have trade fairs. The uncomfortable part in all this is that our industry seems to be compelled to become less ‘niche’; fewer Christian bookshops and more Christian books in Waterstones’ and Amazon. Interstingly, I know a little about the comics publishing industry, and there comic shops can make more money trading second-hand collectibles than on new releases. Then Philip talks about having less Christian bookshops and more Christian stock in the secular bookshops. Presumably this is scatterered among the flower faries, crystal and meditation books as well as many other faiths and beliefs all competing for space. That is assuming that they are not too controversial. I’m sorry Philip but I don’t want to sell only battered and dogeared secondhand books that were relevant to Christians ten or twenty years ago. (Who wants to sing Youth Praise when we have Songs of Fellowship book 4). My shop (although smaller) is full of hundreds of relevant titles that address the issues of today’s Christian in an ever changing society. And if someone comes in wanting help to find a book that is relevant to them or a Bible that will suit their particular style then I can help them. I can also suggest a particular book on prayer rather than just have a couple of books on the subject. I think that it is tragic to see the demise in bricks and mortar Christian bookshops and the demise of CBC and the growth in direct selling by publishers which will be accelerated by CRE. After all the CRE Press Release aimed at CBC publishers specifically said “The opportunity presented to publishers means that within the ‘trade section’ of the combined event, there will be exposure to the 12,000 expected visitors to CRE in May 2009.” That includes my customers being offered deals that I can’t compete with. Funny you should mention publishers direct selling and CompassionArt, Geoff — at the same time as your comment came through I received an eNews alert from Kingsway: CompassionArt – NOW AVAILABLE | Discount Code. No doubt it’s gone to hundreds if not thousands of other people, and not a word in the email version to encourage readers to buy CompassionArt from their local Christian bookshop, not even a hint that we might stock it (although in the online version I’ve linked to it’s good to see that there’s a ‘Shops and Sources’ link, albeit hidden away well below the fold). The problem, I think, is that it’s all about short term gain: there’s no long term strategic thinking in most publishers’ minds — they want people to buy now, buy now, buy now; and when people buy direct, of course, the publisher gets to keep all the margin. So, one CD at a time, one book at a time, retailers are increasingly marginalised. Publishers please take note: you can’t have it both ways. You can’t continually undercut your retail partners whose presence you rely on to provide a public display of your products and still expect those retailers to thrive. Church leaders please take note: you can’t buy direct without undermining the business of your local Christian retailer. Publishers and church leaders both please take note: if you value a Christian presence on the high street, if you want to see Christian products given prominent shelf space and display, you need to think long term vision and not simply short term gain. Otherwise it will be a case of nothing but one or two bestselling Christian titles like The Shack scattered amongst the chick-lit trash at Tesco and Asda. If you think immediate profit or an immediate saving of a few pounds is worth that price, fine. Carry on. But please don’t come back this time next year and bemoan the fact that there’s no bookshop selling your products or that your Christian bookshop has closed down when that closure was caused by your consumer driven rather than mission focused thinking. And finally: to those few publishers who are resisting the urge to become their own retailers, to those people who do come back to our shops time and time again: thank you. So what’s going on with Kingsway direct selling citing their own RRP of £13.00 as a reference point to allow them claim to be to offering it at a 23% discount, at £9.95? Why are they not selling it at full price to maximise the income for those whom sales are supposedly going to benefit? If Kingsway have 23% to give away, why are they giving it to UK consumers rather than to the intended recipients? Can’t help thinking it’s time for Trading Standards to step in and regulate the marketplace. In clothes shops, for instance, when an item is advertised as reduced, does it not have to have been on sale at the higher price for a certain period of time before the seller can legitimately claim to be offering a discount? How come a publisher can invent a price, never actually sell the product at that price, and claim to be offering a discount? Congratulations to Harper Collins for finally seeing sense and releasing the Poverty and Justice Bible to the trade instead of just to Bible Society who were selling it direct to our customers. My excellent rep Roger showed it to me this morning. I just hope all my customers haven’t bought it already after I couldn’t get it for them. The claim was that there wasn’t enough margin to make it available to the trade. Absolute piffle. Publishers (I’m reliably informed by one I know) work on a multiple of 6, which means a product with a retail price of £14.99 actually costs around £2.50 to produce – so even selling it to Traidcraft at £5.00 (at a guess) there’s still a 100% mark up for the publisher. I know that isn’t the case with this bible. 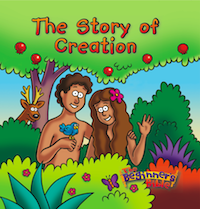 The bIble Society made this bible without the usual financial benchmarks – which is why no publisher/distributor could afford to take it on at the £9.99 price point. I know for a fact that it cost a lot more than £2.50 to produce, and that HC have put a price on that it makes it a realistic proposition to take to retail. So that’s it then. One rule for them and one rule for us? Doesn’t give me a lot of confidence about the future. That isn’t what I meant. The Bible Society had a missional reason to make this bible, concerned with making it affordable to their constituency, not thinking about the supply beyond that, nor using the conventional way of calculating financial viability. They are not a publisher, and not working that paradigm. Then, when a publisher is given the chance to take it to a wider market they have to set a price on it that can make it work, bearing in mind that the publisher and the BS are probably making a similar margin on this when it is sold at the different respective prices. I think you are looking at it the wrong way round and not considering that the missional aims of the BS are driving what they are doing, not some sort of anti-retail conspiracy. Can’t agree. The argument would make sense if they had stuck to £12.99 but then they discounted it to £9.99 so there is margin in it and if Traidcraft can have it even lower then Bible Society are selling it on to other organisations so why not to us?. Also, I kinda thought that in the last 32 years of our shop that we have also been acting in a mission sort of way. I’m definately not doing it to get a decent wage and proper hours and I see it as a major part of my work to provide good Christian literature and Bibles and make them accessable to the passer by. I make all this possible by the margin I get on the items that I sell and cover the gap by my overdraft (which keeps growing). Casaubon: you know the Christian publishing scene; and you know the Christian retail scene; and you know that those of us in Christian retail aren’t in it for the money — it’s a missional calling that energises us. You say Bible Society are not a publisher, you imply that they’re not business savvy: again, you’re having a laugh aren’t you? We have two separate mega-organisations called Bible Society – 1. British & Foreign and 2. International. And both organisations are reaching into and taking over more and more of the Christian publishing scene – we have International Bible Society which now owns STL; and British & Foreign Bible Society which now owns CRE and CBC. I don’t know whether that’s mission fission or fusion but there’s no way that Bible Society — whichever Bible Society we’re talking about — don’t know exactly what they’re doing from a finance point of view. But even if it was so, even if Bible Society’s initial print run was done “without the usual financial benchmarks”, HarperCollins certainly didn’t take it on for charity: they’ll have done the sums and done their own financial benchmarking. Because HC is not missional in any Christian sense of the word: HC is in business to make money, to pay its shareholders. For HC, Christians are simply another consumer group to be targeted. HC didn’t set the price to make it “a realistic proposition to take to retail” but to make it profitable for them as a publisher. Highland never had a stand at LIBFs past. But if there was some Christian programme at LIBF 2009, why would that be unattractive to booksellers? German christian booksellers go to the Frankfurt Bookfair. It’s not about 10-year-old books! Often within weeks of publication, we find our own books offered by Amazon retailers at substantial discounts. As a consumer, I MOSTLY now buy second hand on Amazon, and the books have always turned out ‘nearly new’. So Highland’s own recently-sold books are competing with the new books in the warehouse. Where these guys get the books at the prices they quote is a mystery to us! Neither publishers nor authors nor booksellers are rejoicing at the decline in number of bookshops, but it is a statistical fact! Sadly, most of Higland’s output is unlikely to be stocked at Waterstone’s shops (though online is a different matter). What has to be key to bookshop survival is increasing the stock turn. If local clients are invited to bring in two reasonably recent books and can take out either one second hand or a new title at half price, this should increase footfall. If the books bought in cheaply really do sell online (probably not on the bookshop’s website but via an aggregator) then it is win-win for the shop, and authors will have the feeling that their books are getting more readership. The gain for publishers is more distant: a stabilisation of the finances of their client bookshops. Re the London Book Fair — the usual abbreviation is LBF, by the way, not LIBF — I’ve been a regular visitor every year for as long as I’ve been in the book trade. Always well worthwhile, always a good selection of Christian publishers present, and I think this is where CBC should have gone if it wasn’t viable as a standalone. Seems to me it’s time for us to stopping thinking of ourselves as a niche marketplace and make our presence known in the wider book trade. People like Melanie at Unicorn Tree Books have got the right idea: a dedicated Christian section as part of a much wider stock range. That is my point. The Bible Society set a price that wasn’t profitable, so the £14.99 price is set to make it work for a publisher to take it to retail, which includes a profit margin. Also, when on-line retailing is still less than 20% of overall book sales, that means that most people will not even have been aware of this product yet anyway, and are unlikely to buy it from the Bible Society (or Traidcaraft), so the chance to buy it retail is there only opportunity to get exposure to the product to buy it. Even with Amazon’s discounts, the VAST majority of people still choose to buy their books on the high street. And when there is such a vast potential customer in the Church who still remain untapped – I would like to see more of a concerted effort to reach the ‘person in the pew’, but if publishers do it then they are accused of ‘going direct’ so it needs to come from retailers – the potenital to grow any business supplying Christian books is still there. The problem with LBF is that for many retailers the cost of travelling to, and staying in, London is probably prohibitive. This was looked at a while ago (if I recall) and the feedback from retailers was that LBF would not be an attractive idea. Also, stand space is VERY exensive, as would be seminar space. It would push the cost of putting on training etc up as well. Ok, on the cost of travelling for retailers, well Sorry if I’m missing something here but getting to Esher, Surrey really isn’t any cheaper than getting to London – or at least not for those like me who don’t own a car and would have to go into London and then out to Esher! But I do appreciate that the stand price at LBF is pretty high, however not unreasonable given the footfall – I have been going there for a while, just for one day, as a lot of remainder dealers, christian publishers/dealers and of course the general publishers/dealers are there so it makes for a hectic but fulfilling day. Of course Christian Retailers could do what a lot of the remainder dealers do – rent a hall/pub/space in a building near to LBF as a small group and then send invites to those attending LBF to call in to see them as well. Cheaper than stand space in the hall but no hardship for those attending to drop in and visit. For me this would have been the better option as London is easier for me to get to than Esher, and I am sure that holds for a lot of others too. and what with prebooking train tickets and lastminute.com it is pretty cheap to stay over really. Oops sorry I meant Christian Publishers not Christian retailers in the third paragraph. Did anyone go to the meeting at Sandown last Wednesday to hear the proposals for CBC/CRE combined? We were invited but expected to travel from the Scottish Borders just for a presentation! Funny you should ask that, Mark – I was just thinking about the very same thing! Unfortunately other commitments meant that I was unable to attend either, despite being much closer. Anyone else? Was it well attended? Worthwhile? Phil, I’ve got you on the list to recieve a review copy.. Hoping you’ll be kind enough to review the follow up to Life Journey and the CD. The CD is all instrumental with each track based on a chapter from Life Journey by Mary. David Fitz describes it as a successor to Book of Kells, and the sounds are very reminiscent of Early Iona. Re downloads, Getting onto Itunes is difficult but we hope to offer some kind of download version. Slightly late in the day but better late than never to respond to Geoff Wallace’s comments re Christian publisher stand sizes @ LIBF, as he says he hasn’t been for the last two years and its fair to say his comments do not reflect what we at LionHudson have been doing for many years at LIBF. Lion Hudson have always seen this fair( along with other initiatives) as an important part of our mission to get Christian books into the market whether it be General or Christian bookshops. It might be time for him (and other Christian retailers) to attend again and revise his views on what’s really happening. As had he attended this year including those two years he missed, he would have seen the stand from Lion Hudson positioned in the general bookseller hall consisting of enough space to accomodate 8 tables and he would have observed them being constantly in use for the duration of the show, serving overseas, as well as home market customers. As for the CRE/CBC fair at Esher this week, correspondingly we won’t be attending in taking a stand, as to pick up on another of his points, we have no desire to compete directly with our retail customers. Like other contributors, the notion of a trade sector element of this combined fair keeping trade and public apart is in my opinion, “pie in the sky” How can I justify taking space and competing with my retail Christian customers who do attend the fair and give time, money and resource in taking stands there and then expect them to support my titles fully, when my team of ASMs come to call on them. Further to all those retailers who are looking for a publisher to support their shops & not compete with them on a direct basis, come and talk to Lion Hudson either via your local rep or direct to me. We have an excellent partnership scheme with our retail customers that has been in exisistence for over 14 years currently serving some 120 Christian bookshop outlets throughout the length and breadth of the United Kingdom. Our focus and our goal is always to work with our retailers via margin, promotion & stock initiatives to ensure they stay in business as we recognise that we need them to be as successful as possible so as to sell our titles on to their public customers. Take heart Christian traders you are not alone, we at Lion Hudson see you as partners not competitors ! – do you think you could get either an local rep (it used to be Julian I think?) or perhaps you yourself could make contact with me. I sent an email/letter or two way back last year asking for someone to contact me re:an account, but no one did. Actaully the same went/goes with Hodder and some of the other bigger publishers out there as well, despite contact being made round about february 08, some have not responded. I could though understand some of this with them being concerned over SSG etc, franchises and double dealing, but still a little contact since would have been good. But to be honest as I could get the books direct from Bertrams and/or Gardners it was not so pressing an issue that I continued to chase after the non-responses. Though to be fair having a Marston account anyway has also enabled me to get the odd LionHudson book anyway when neither the above had them in stock. However given what you say here then I would like to talk to you and support you more directly given your expressed statement that you are going to and do support us directly. After all publishing and bookshops really should be a more symbiotic relationship given how much we actaully do need each other. All I have said here by the way stands for any other publisher who is out there and not currently servicing my shop – please do make contact. Same goes for all you other Christian retailers wanting to know what we have to offer, give us a twitter or a call either way we’ll be happy to speak to you. Look forward to hearing from you and any other friends who want to join in! Lion Hudson leads the way in helping booksellers in the Lion Alliance to control their stock. Your stock swap scheme is unparralled and is very, very appreciated. Candle consignments are another publisher-led concept that helps the bookshop to display a quantity of stock. Plus you produce good value fiction promotions with no quibble returns. The only drawback is that Marston still won’t join Batch. Geoff, Good to hear from you and thanks for your complimetary comments, and ongoing support for our titles, its always good to know the intiatives we are working on are appreciated by you and hopefully the rest of our partner bookshops. Take your point on Batch, thats something I’ve been in dialogue with the team at Marston, Its not over ’til its over!